Here at Great Field Farm we are committed to providing an excellent quality of service for our guests whilst minimising the environmental impact of our activities. We aim to adhere to good environmental practise in all our business activities. 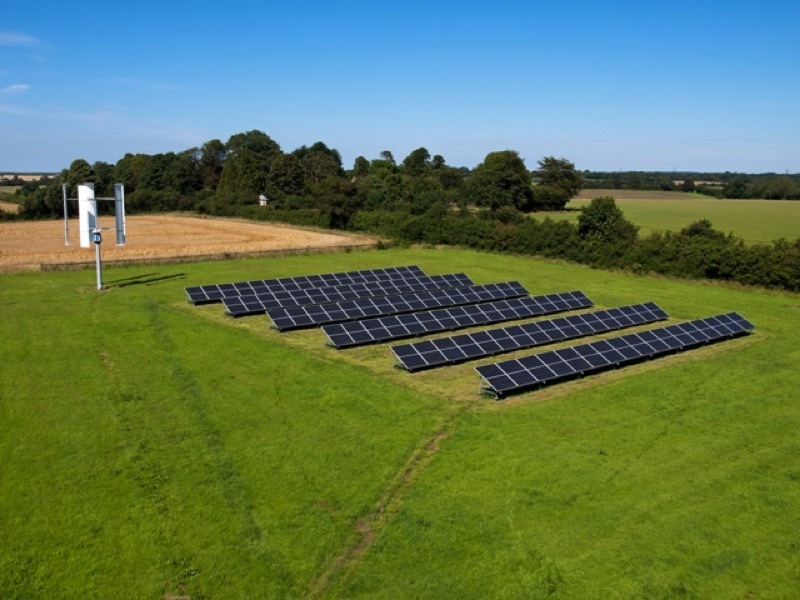 We have installed a 50kW ground mounted solar array which feeds Sunset Lodge, Apple and Hazel Barns, The Cottage and the main Farmhouse and what we don’t use is exported back to the grid and sold to Good Energy. We are fully accredited with OFGEM as a UK electricity generator. We are “zero energy”, i.e. annually we export 2 to 3 times more electricity than we have to import. Feel free to have a look and ask Malcolm any questions. IVT/Bosch Ground Source Heat Pumps provide all the heating and hot water for Sunset Lodge, Apple and Hazel Barns. Recycle - paper, magazines, junk mail, cardboard, glass, aluminium cans, steel cans, plastic bottles etc. Food and garden waste is composted and grass cuttings are used as mulch. Energy - Use of LED lighting wherever possible; A rated appliances; triple glazing to Apple and Hazel Barns, double-glazing elsewhere with lowE argon filled units. Paint and Varnish – We now use Ecos organic paints and varnishes. Apple and Hazel Barns are insulated with Warmcel insulation, which is made from recycled newspapers. Use of our own organically grown raspberries and blackcurrants at breakfast. Other products are sourced locally. Provision of local maps to encourage guests to walk or cycle and leave the car behind. Wildlife - More planting to encourage yet more birds and butterflies into the garden and paddocks.